Nostra over at myfilmviews.com started this idea for a blogathon, details can be found here if you’d like to participate or see the the other participants. Scarlett Johansson. Once upon a time, I thought she was fabulous but she hasn’t done a single thing in recent years (that I can think of at the moment anyway) that makes me think she’s anything other than just a cute girl. I dunno, I think most actors/actresses these days are overrated and are one note (not ALL just most). I think I’ll have to go along the lines of Andy’s answer here: The only one I can think of is Charlie Chaplin. I’ve never seen a Chaplin film (bits and pieces is all). Hmmm….maybe Soap Dish? I’m not sure if it’s hated per se but I’ve yet to come across anyone who loves it as much as I do. It’s from the 80s and has this amazing cast and is about the backstage antics of a soap opera and it’s pure ridiculousness. Good grief, no. Plus I try to only ever go to matinees in the middle of the week so as to avoid those people. None because of a specific actor or actress, I just watch movies I know will be bad because I love them. Maybe as a teenager or in my early 20s but I much prefer foreign films now. That way I can read AND watch (I can’t just watch a movie, I need to be doing at least 2 other things). Nope. I watch everything I buy or get. It may take a couple of months but I keep them in a stack until I work my way through. The $5 collections from the Walmart bin, lol. I have quite a few but while they’re horrible they can sometimes be uber fun so I keep them around! I have a major old school t.v. that I accidentally locked the front panel to so if I ever lose my remote, I’m pretty screwed. I LOVE dance and cheerleading movies. I have seen every single Bring it On (more than once) and I’ve watched not only Honey with Jessica Alba but Honey 2 with Kat Graham. 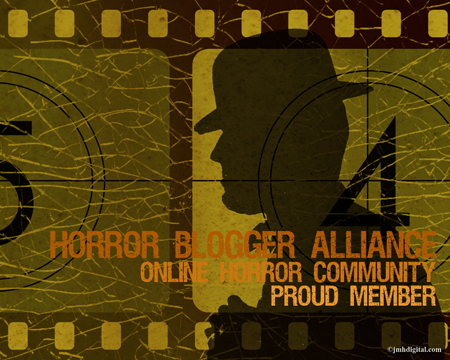 Posted on 2012.25.July, in Irregular Posting and tagged blogathon, movie confessions. Bookmark the permalink. 10 Comments. I LOVED that Hitchcock soundstage thing at Universal. I’m hoping they still do it because I’m going there later this year around Halloween. I’m really surprised at the number of participants that haven’t seen Casablanca and/or Citizen Kane. Do what I did and watch Chaplin’s Modern Times, it really blew me away. I haven’t been in probably 7 years so I don’t know if they still do it. Let me know though! And have fun – I’ve heard they’re pretty awesome around Halloween but haven’t been. Maybe it’s because every knows the plot and the big lines and so it’s kind of like you’ve already actually seen it? I’ll definitely watch that one. I’ll have to see where I can get it. Thank goodness, I’m not the only one!! Lol. I’m planning an in depth series on all of them. “Soap Dish” is an awesome movie!!!!! It still makes me LOL. But, for a favoriate “B” movie, I still go for “Zorro The Gay Blade”. Mexico, 1840s. When the new Spanish Governor begins to grind the peasants under his heel, wealthy landowner Don Diego Vega follows in his late father’s footsteps and becomes Zorro, the masked man in black with a sword who rights wrongs and becomes a folk hero to the people of Mexico. When Vega sprains his ankle and cannot figure out how to continue his campaign against the corrupt Captain Esteban, luck stays with Vega when his long-lost twin brother Ramon, who was sent off by their father to the British Royal Navy to make a “man” of him, whom is also flamboyantly gay, and now known as Lt. Bunny Wigglesworth, appears for a visit. ‘Bunny’ agrees to temporarily take his brother’s place as Zorro, but wishes to make some changes. Bunny becomes ‘the Gay Blade’ in which his new suits are lemon, plum, and scarlet colored, and Bunny insists on using a whip. Bunny also becomes the liaison between Don Vega and the liberal American activist/feminist Charlotte a long-time critic of Captain Esteban’s policies, and who has a crush on her masked hero. It would never, ever, ever seen the light of day in today’s politically correct environment. But, it has so many jokes that are not gay related and is just a really funny off the beaten path movie. Also, I’ve see the Bring it Ons and both Honey movies…welcome to the club Sister! I’m so jumping on this bandwagon. And by the way, I love dance movies too. Dirty Dancing, Strictly Ballroom, Magic Mike, All That Jazz, I love them. I am working on it right now. I hope that it will amuse you.